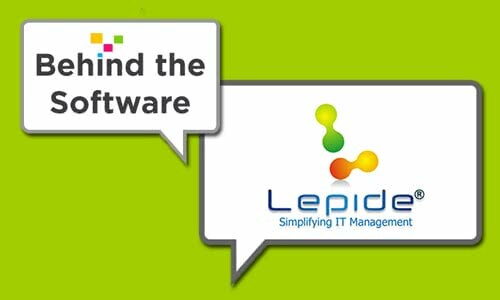 In this Q&A with Lepide, we spoke with Aidan Simister, Regional Director and Head of Global Expansion, about the company’s mission for delivering a simplified yet comprehensive suite of technology to manage IT processes. Why don’t you start off by giving us a little background on what Lepide does. What challenges does Lepide solve in the industry that existing products have failed to address? We’re comprised of 200 people — frankly, a bunch of techies and software developers who felt that we could make IT management tasks easier. We wanted to come up with a bunch of really simple pieces of software that were affordable and accessible to all organizations, irrespective of whether you’re Coca-Cola or a corner shop. 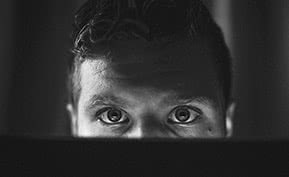 I see it as two distinct areas: the first problem is that it’s often difficult for organizations to understand what’s happening with their IT systems. Regardless of whether you’re an incredibly advanced organization with really advanced security and all of these really amazing, fantastic tools — the problems still exist. The fact of the matter is, especially when it comes to auditing situations, you should be able to say who, what, where and when a change or an event took place. You need to know that for three reasons, one of which is security. I obviously want to know what’s happening or why people are changing permissions. The second one is systems management. Currently, IT spends far too much time trying to work out when a problem occurs because they don’t have the adequate processes or tools to audit and monitor. The third problem is that there is a massive increase in compliance — it’s becoming more and more prevalent everywhere. The second big issue we see is many organizations are recognizing that it doesn’t make a great deal of sense to have multiple pieces of hardware sitting in their offices.They’ve seen that what actually makes sense is to be in the cloud. The thing that stops people from using the cloud isn’t that it isn’t logical; it’s the fact that the process of migrating – of moving to the cloud – is not quite as simple as it could be. Organizations are making this type of software out to be a really complicated process that’s going to cost a lot of money and take a long time to implement — and it doesn’t need to. It just requires a relatively simple piece of software that practically anybody could install without any massive technical knowledge. We’re saying to a lot of these big vendors, “You’re making it overly complicated so you can justify a higher price, and that’s nonsense.” We think this is a common problem that all IT teams are experiencing that can be taken away very quickly. Lepide offers three major product suites: 2020, Meteor and Quad. 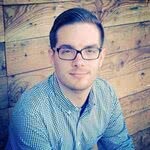 Can you give us an overview of these tools and share the inspiration that you guys had when developing them? We’ve been really good at writing pieces of software that fit individual problems. The difficulty is that we weren’t putting them together in a single and succinct suite. What we’ve basically done now is put these pieces together as a common-sense bundle. Ultimately, they’re all going to have a smart, new dashboard and be completely integrated. (At the moment, some of them are integrated and some are not.) But they’re incredibly straightforward to install, and they fix the problems of auditing and monitoring critical parts of your IT infrastructure. This is our 2020 Suite — it’s called 2020 because we believe it gives 20/20 vision and complete control over the IT environment. Meteor Suite addresses the big concerns that people have around taking on-premise systems into the cloud. In particular, migrating an Exchange server to Office 365, taking an old file server to OneDrive, etcetera. The Meteor Suite helps organizations painlessly migrate their valuable data. One of the things that the Meteor Suite does in particular is an analysis and assessment of what teams currently have within their IT environment, enabling them to utilize what they have in their existing environment to migrate really, really fast. For example, if you have a number of servers, we can balance them across multiple servers to help them perform the migration quickly while keeping it stable to make sure that everything’s migrated efficiently and correctly. We keep users completely posted during this stage of migration to make sure that there’s no risk of any data loss, downtime, disruption to users, etcetera. On average, this process saves about 90 percent of the time that it would take if you tried to do it manually. And frankly, our Quad Suite is dead simple – it’s everything we do in a single suite. It’s essentially an amalgamation of all of our suites put together. So it will give you everything you need for auditing, control, migration and recovery. If you could choose the three most valuable features in the suite of technology, what would they be and why? In my mind it’s about simplification — we provide IT teams with the who, what, where and when. The way that we provide alerting and reporting capabilities around our auditing solution helps organizations understand changes in events in say, active directory, group policy and file servers. I feel to not have that type of control, given the implications from security and compliance, is negligent. Any concerns or misconceptions users have that tools such as this are complicated or time-consuming just don’t stand anymore. We provide a solution that delivers extensive functionality and instant visibility in just a couple clicks of a mouse. I think that’s a really big feature and a big value that we offer, and it’s a really important part of our 2020 Suite as well. The massive value point we have within our Meteor Suite is the fact that we’re going to save IT teams 90 percent of the time — and a hell of a lot of headache — by performing the whole migration. We can tell you exactly what’s involved in doing a migration job, we’ll help you get it configured and keep you posted every step of the way. So I think the way in which we facilitate the migration process within our Meteor Suite really helps organizations embrace the cloud without the stress. That’s the big value of our Meteor Suite. In addition to the traditional paid product suites, Lepide also offers a variety of free tools. Are these meant to work in conjunction with the standard products? And if so, what value do they bring to users? The short answer is no, they’re not in line to work in conjunction with our cloud products. Frankly, the reason we have the free tools is because — like everything we do – we’re very passionate about making sure that we operate as a community and help people fix problems. When we develop these great tools, rather than keep them to ourselves, we thought we should put them out there for the community, and they are very widely used. The free tools help users address minor IT challenges, and they help build up awareness around the fact that we actually care passionately about making the lives of IT managers easier. Now that we’ve discussed the value and functionality, can you share an example of when a company would benefit the most from using Lepide and who the ideal user would be? It’s really difficult to pick a sweet spot because different customers get a totally different value out of our solutions. Let me give you one example of a very large employment organization in Europe. Their key problem is the fact that they have recently acquired another business, so there were reasonably multiple organizations with 50 to 60 different people on their IT team. The company had no means of working out what changes were being made to their IT systems, whether someone deleted a user account or someone changed permissions on a follow-up folder. This challenged them in three different ways: one is that when things stopped working, it was really difficult to work out why they had stopped working. If the server failed, if a user couldn’t log on, if a file went missing — it became a real challenge to determine what happened. The second big issue was security. People have privileges to read and write, and with 50 IT administrators, it just takes one rogue administrator to do something they shouldn’t be doing before one person has access to data they shouldn’t. When you look at the recruitment industry, which is very reliant on data of its customers, companies have real challenges with keeping data secure. The third big problem is that when they essentially merged, they had to adhere to different compliance mandates. They were bullied by the other company, who was asking difficult questions and asking for numerous reports about what was happening within the IT environment. Trying to merge information using manual logs or by using one of these very expensive, incredibly time-consuming, overly complicated tools was potentially very risky. So the product might be able to tell you some really fancy information, but it can’t tell you the most important information quickly enough. The real value in our solution is it’s a simple way of helping organizations better manage their systems, improve their security and adhere to compliance standards without having to spend a ton of money and a lot of time to put into deployment. Are there any capabilities the team is currently working on that will be incorporated into future releases of the product line? We’re really building out our capabilities around helping organizations determine what’s happening with their most sensitive files and data. Then they can work out that the right people in the organization have the right levels of permission (and start to monitor and audit after that). You’re going to see many more capabilities around analyzing as our solution develops. We’re also going to get much more involved in trying to make the solution more of a single pane of glass for IT management. At the moment, we’re working toward having the tool completely integrated so everything works from one place. Ultimately, you’re going to find that when IT teams log on in the morning, we’re the first place they come to keep track of exactly what’s happening in any part of their IT system. As things progress, there will be much more integration across all of our solutions into a single console. Do you have any remarks in closing that you’d like to share with IT teams that are considering the adoption of tools like Lepide’s? It’s quite an aggressive statement, but I think it’s the fact that IT management doesn’t need to be expensive or complicated. If anyone tells you it does, tell them to come and talk to us. The fact is, people sometimes try to sell this topic like it’s more difficult to understand than it is. Companies go out and invest — sometimes millions upon millions of dollars — into solutions that promise they will deliver things that are similar to Lepide’s products and yet rarely work. If you think the auditing, monitoring and migration is complicated, think again. 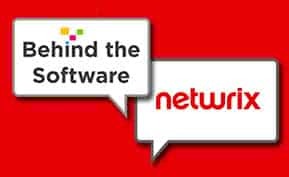 Looking for more of our Behind the Software exclusive interviews? Drop by the Business-Software.com blog homepage for our collection of Q&As.